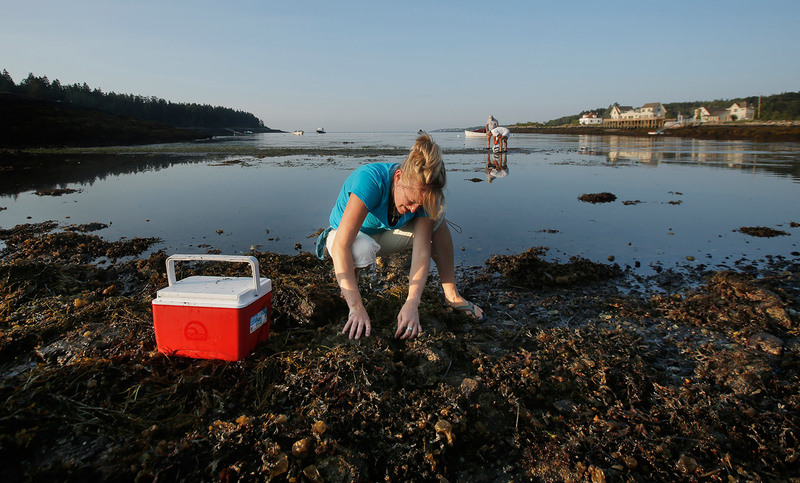 Until two years ago, if you had walked down to the shore of Maquoit Bay at low tide, you would have seen a meadow of eelgrass stretching nearly as far as the eye could see across the exposed seafloor. Here near the head of the bay, the sea grass stretched for two miles to the opposite shore, creating a vast nursery for the shellfish and forage species of Casco Bay, of which Maquoit is a part. Genevieve MacDonald, who fishes for lobster out of Stonington, was standing on the dock at Isle au Haut one morning that summer, looked in the water, and couldn’t believe her eyes. There, swimming around the harbor like mackerel, were dozens and dozens of longfin squid, temperate creatures rarely seen in the chill waters of eastern Maine. 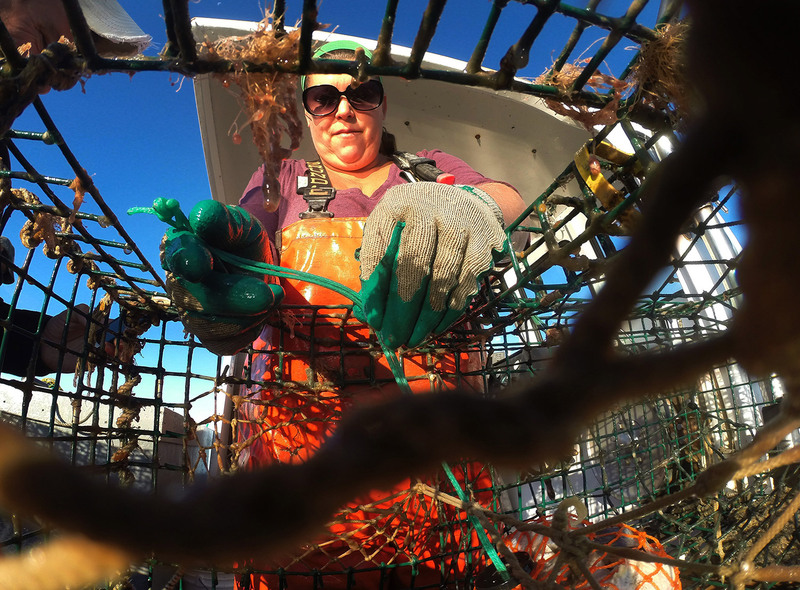 “If you had a cast net you could have brought in a whole basket full of squid,” she recalls. Other invaders appear to have few upsides. 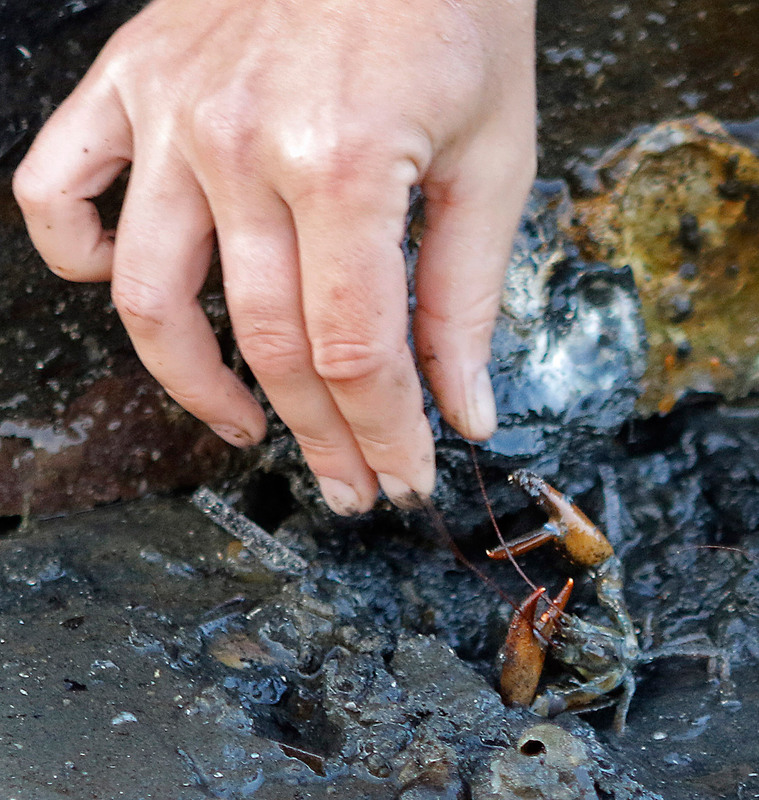 The crabs also appear to be stripping much of the coast of mussels. On shorelines that 20 or 30 years ago would be carpeted with the bivalves – taking up half the available space – they now cover less than 10 percent. 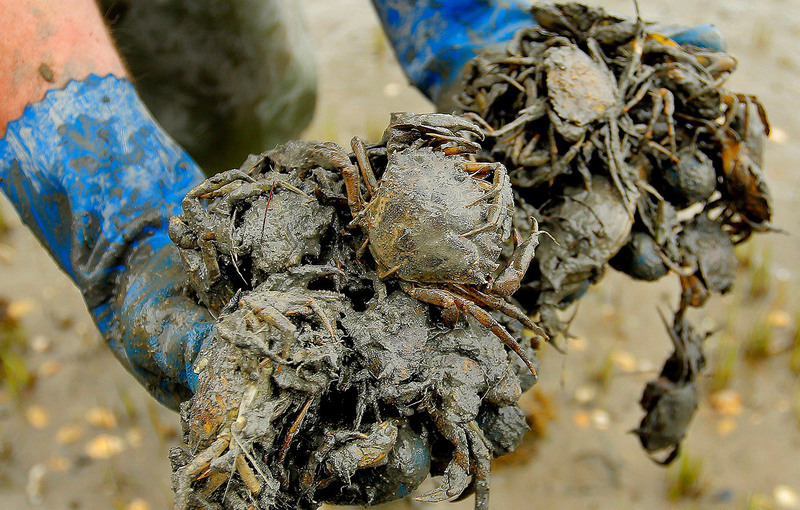 Water temperature and ocean acidification may be playing a role, but green crabs appear to be a large part of the picture, since wild larvae settle and grow just fine at mussel farms and on the undersides of buoys and other objects the crabs can’t climb to. 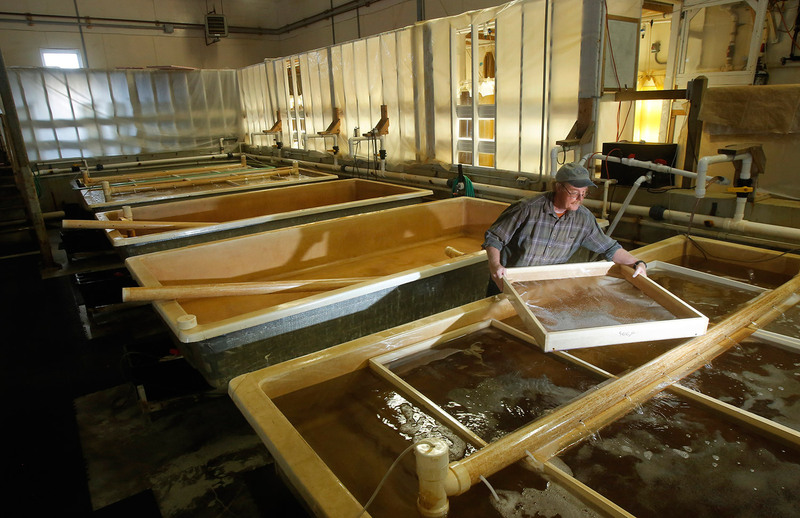 It’s possible the warmer water will bring a solution with it.